Some friends just came back from Berlin and they reminded me that it’s insanely cheap to eat out there – especially compared to the exorbitantly high prices we have here in Perth. And in fact, there are a lot of ways to explore Germany on a low budget, something that surprised me no end when I lived there. And then I was asked to contribute something on Germany to the book A Student’s Guide to Traveling Without Spending Money and I quickly realised I had plenty of ideas! 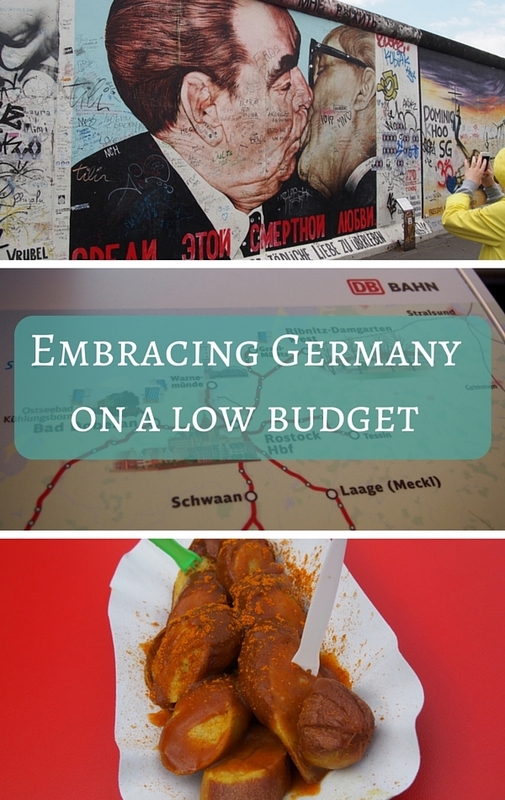 There are undoubtedly even more ways to be budget-conscious in Germany, but these are the tips that helped me the most when I lived there. Germany’s rail network is amazing, but using the ICE (Inter-City Express) trains is pricey (although they’re very nice!). With a bit of planning – and ideally, with a group of friends, as this makes it even cheaper – you can do some good train miles very cheaply using some of Deutsche Bahn’s special deals. The best one is the Schönes-Wochenende-Ticket (the “nice weekend” ticket). You can buy it online in advance or at the station at the time, and it’s valid from midnight Friday through to 3am Monday, and for one person you pay 40 Euros – but then you add only 4 Euros per extra person, up to a group of five. Then you can travel anywhere in Germany on the regional trains – obviously these are slower than the ICEs and similar, but you can still easily get from one side of the country to the other and with a group, it’s super cheap. Here in Perth, Aldi supermarkets have just opened up and people are raving about them. Of course, I’ve known about these and similar chains of discount supermarkets since my German days and they are definitely the source of endless bargains. If you’re shopping for food supplies or all manner of other things, look out for Aldi, Lidl, Penny Markt, Netto or Norma supermarkets and you will save heaps. If you want to do some serious sightseeing, then a lot of Germany museums will have some kind of special offer when entry is either very cheap or free at a certain time of month or week. They used to have a pretty regular thing of free entry on Sundays, but now each museum is doing their own thing but it’s worth doing a bit of research online to find out when the cheapest (or free) time is to visit the museum you’re interested in. Many German cities also have a regular “Lange Nacht der Museen” – Long Night of Museums – once a year when for a heavily discounted rate you can visit multiple museums in one night, and have free public transport between them. There are so many cheap and easy eating possibilities in Germany. something I really miss here in Perth because even a simple takeaway coffee costs a small fortune. In Germany there are lots of little sausage stands or kebab stalls and it’s easy to grab a quick meal and pay under 5 Euros for it. And the same goes for drinking local beer – if you stick to German beer (and why wouldn’t you, because German beer is practically the only beer in the world I really love!) then it’s much cheaper than many countries. Germans are great lovers of the outdoors and a bonus of that is that they have plenty of good campgrounds and camping facilities all over the country (and especially in very scenic places, in my experience!). I bought a cheap tent from Aldi and camped in lots of different spots in Germany, and it was low cost, easy and always with great facilities at the camp sites. It’s also a great way to meet both locals and other travellers. 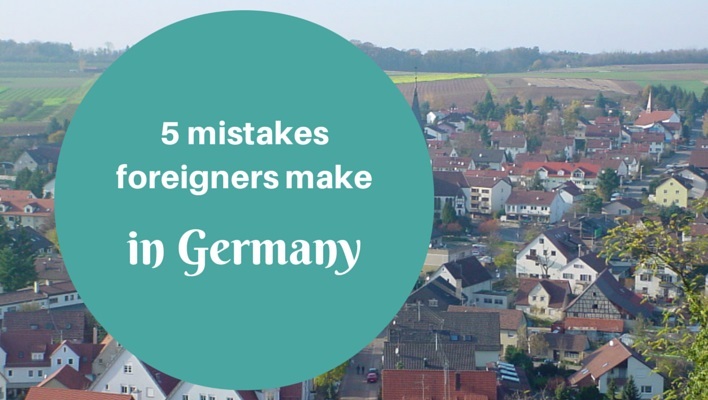 Feel free to chime in with any other tips you have for living and travelling around Germany on a small budget!